Nowadays, user experience is one of the key factors of making a purchase decision. It’s even more true when it comes to online booking and trading platforms. 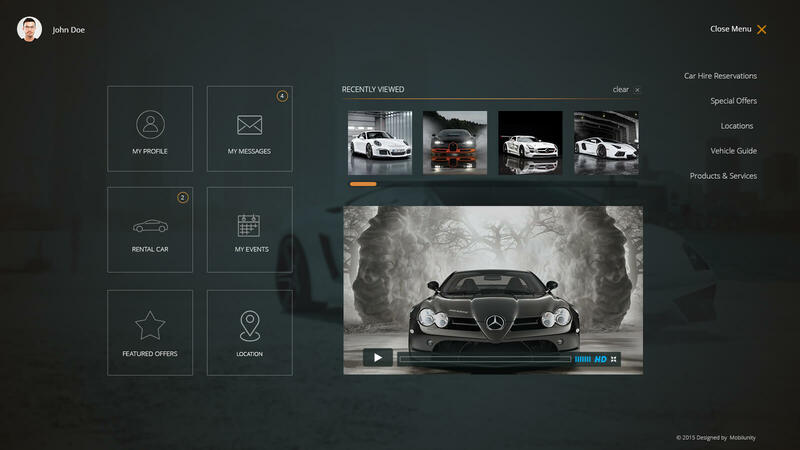 In this entry we would like to showcase our latest work on exclusive car web design development. 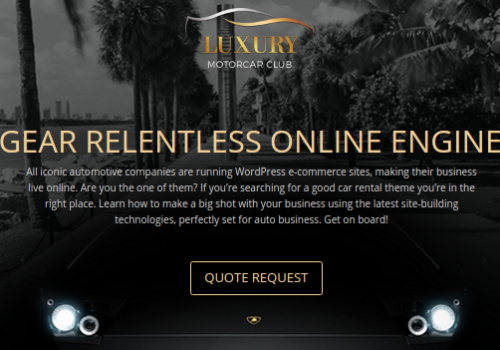 Our client happened to be an owner of luxury car rental business, and asked us to provide website development services for his company. 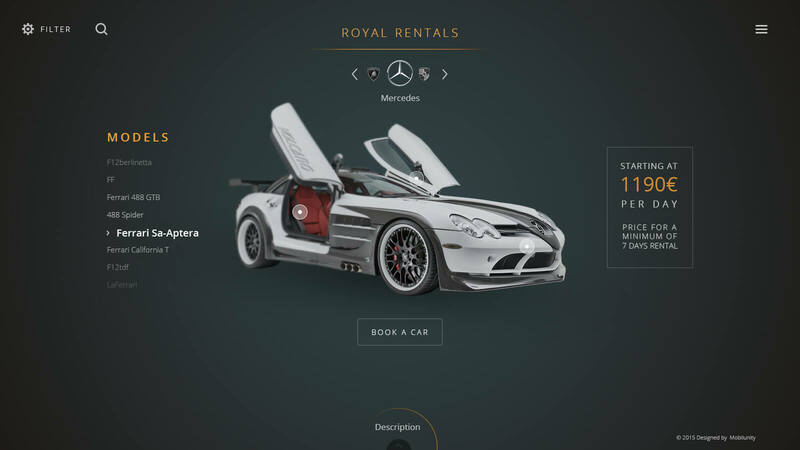 We created UI/UX design, which makes car rental design website really working for the business. 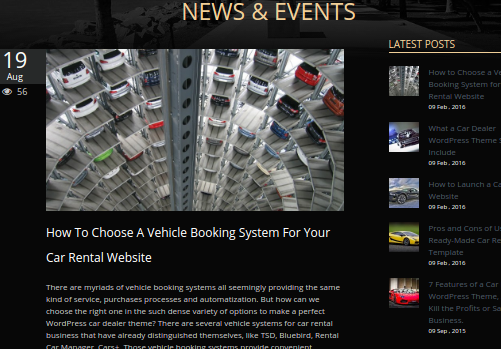 So, let’s have a look at car rental website design project for car rental company and see what steps have been taken here. 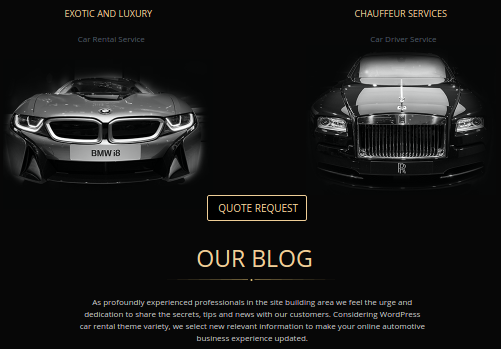 As for color palette for the unique car rental web design and development, we decided to go with black and golden colors, as this better of all represents royal cars and sports cars. Dark grey background was taken to better contrast the chosen colors. Lease Agreement Protection and a lot more. What is of critical importance nowadays, the developed website is fully responsive and works great on all of the mobile devices. If you want to know more about how to distinguish responsive website design, don’t hesitate to read our post about Google Material Design. 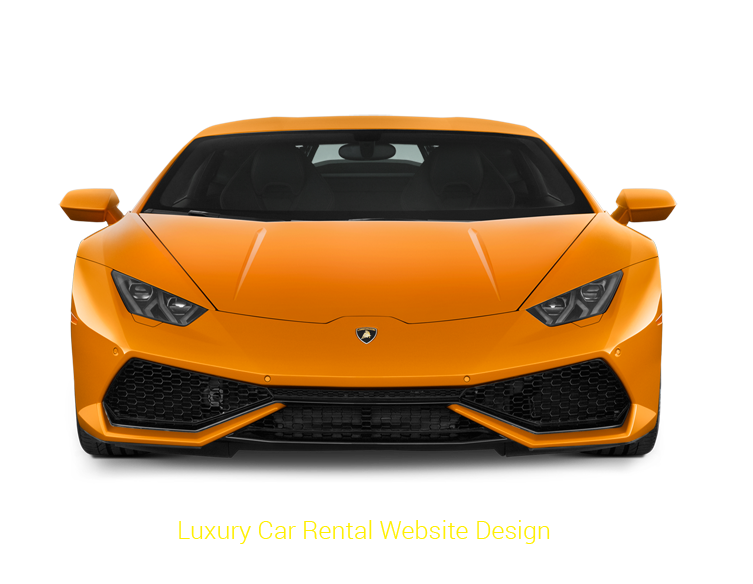 While doing custom web design for the car rental company, we used well known and trusted custom car builder software like Adobe Photoshop CS5, Adobe Illustrator CS5 and Sketch 3. As most of car rental websites, this one has the following menu and list of essential pages: Car Hire Reservations (booking), Special Offers, Locations, Vehicle Guide, Products & Services (see on the picture). One of the benefits of going online for the car rental business is ability to let your clients rent (or book) a car without paying a visit to the car showroom. 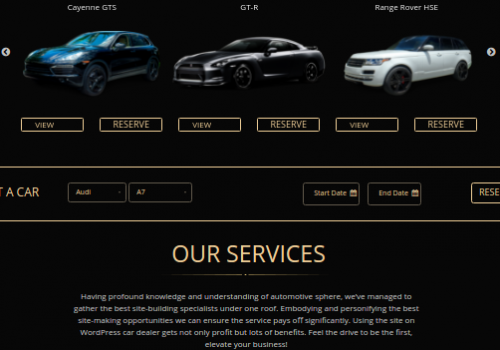 In short, there are multiple benefits you can have for your business, having developed a property best car rental website design. Take a look at our guide on how to create attractive custom website design and development. Be it a rental, selling online or any other type, if your business doesn’t have a website operating at its full capacity, you are missing out a lot. If at this point you came up with an idea on how to improve your company’s online presence with a custom web design, don’t hesitate to contact us for a more specific talk!